Hello and welcome back to Early Bird Breakdown. It’s the ninth week of the season, last week the Packers began their toughest stretch of the schedule, let’s jump back to the recap. Last week, the Packers gave the undefeated Rams their toughest game of the season. Leading going into the second half, the Rams offense came to life and took the lead. Rodgers had a chance to win with the offense set to take the field with just over two minutes and a timeout down by 2. However, inexplicably Ty Montgomery ran the ball out of the endzone (which best case scenario now still loses the free timeout from the two minute warning) then fumbled the ball for the worst-case scenario: Rodgers never gets to touch the ball and the Packers lost. The final score was 27-29 Rams. Last week the Packers moved the ball well against a more talented defense, however no one schemes a better defense than Bill Belichick. The Patriots universal strategy is remove the best weapon on the opposing offense and play around that. That will likely mean one or two things: one, they will try and take the Packers’ best receiver Davante Adams away, or two, they will dare the Packers to run in an attempt to take the ball out of Rodgers’ hands. The tape and the numbers are very clear, Green Bay has one of the most one dimensional offenses in the league, nearly last place in calling run plays. The Packers will want to force the run, especially early to open opportunities in the second half when the Patriots make adjustments. New England is not a good pass defense, one of the worst in the league in fact, but the Packers would be better served going for balance as Belichick’s defense adjusts better than anyone else to the game plans the opponents present. 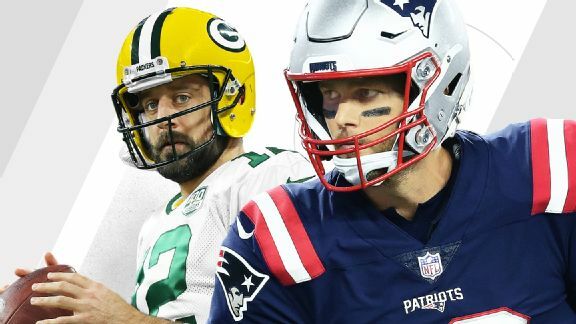 The Packers pass defense which has been nothing short of spectacular so far faces its toughest test in one of the smartest quarterbacks to ever play in Tom Brady. It does not help matters that the Packers traded HaHa Clinton-Dix this week for a fourth round pick, when he currently was Pro Football Focus’ third ranked safety in the league for this season. Foxborough has an expected forecast of clear skies and 39 degrees at kickoff. 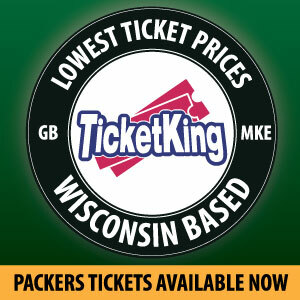 Should be cool but nothing that should hinder the Packers coming from Green Bay. The Patriots have two key offensive weapons, and how the Packers contain them will dictate how this game will go. After trading Cleveland for the talented-yet-troubled wide receiver Josh Gordon, New England added when focused one of the best receivers in the league. Jaire Alexander has been (when healthy) everything and more that the Packers hoped for out of their first round pick and I expect to primarily shadow Gordon. It’s a tough task, but one I think Alexander is up for and if he plays as well as he did last week will likely be able to go one-on-one with Gordon which would help the Packers immensely. The Patriots second, and more well known weapon, is Rob Gronkowski. The Packers do not have anyone with the size to quite match up with Gronk, and as the Jaguars proved, its generally better to cover Gronk with speed rather than size. Alexander is the best man for the choice here as well, however I think defensive coordinator Mike Pettine will likely use him more traditionally on Gordon. The Packers should utilize a linebacker and safety and double Gronk all game. Limiting these two players ala how Belichick would construct a defensive game plan, should be all the Packers worry about. The Packers looked really good last week against the Rams and losing that game actually improves their chances I think this game. Rodgers will be extra motivated, knowing he cannot trust anyone else to deliver the victory as something crazy could happen. The Patriots defense may be good enough to take Davante Adams away, but they cannot contain all of the Packers offensive weapons. Defensively, I think Green Bay can take away Brady’s best targets and stop them enough to win. Packers win, 38-31. This entry was posted in Early Bird Breakdown, Stuart Weis and tagged Aaron Rodgers, Davante Adams, Green Bay Packers, Jaire Alexander. Bookmark the permalink. This is going to be some truth about Aaron Jones. He was drafted in the 5th round, meaning every team in the league passed over him several times. Did anybody ever stop to wonder why? He was hurt as a rookie, then hurt again in training camp, then had a two game suspension. Another back, who wasn’t hurt and didn’t get suspended, did a very solid job and EARNED the starting spot. When Jones’ suspension was up, he began EARNING more time on the field. He led the league in yards/carry. He’s a damn good runner. By mid-season, Jones was our starter. Williams, despite being more of an asset in the passing game as a blocker and receiver….on a team that passes 60% of the time….became the backup. His fumble to start the 4th was a big play in this game. Williams, whether you like him or not, makes fewer mistakes than Jones does. Some of y’all think it’s about highlight runs; I think most football games are lost, not won, and they are lost by mistakes. Generally speaking, throughout 50 years of playing, watching, and coaching football …..the team that makes the fewest mistakes has the best chance of winning. The problem with the Packers right now is not Aaron Jones, or Mike McCarthy. The problem is our offense goes dormant for long stretches, and it did again last night. Rodgers is not sharp. He is 12th in QBR, one place ahead of Trubisky. We released Jordy Nelson, kept Cobb, and went out and got Jimmy Graham. For years, I’ve read people longing for that big ol’ seam-splitting TE. We signed Cook. We signed Bennett. And finally we got the future HOFer, Graham. He’s done fine but he’s only found the endzone twice. In contrast, the much-maligned Richard Rodgers found the endzone more often during his tenure. We only have one ball on the field. It has to be shared. The offense is not keeping itself on the field. We’re 12th in first downs (just like QBR) and we just don’t get enough offensive snaps. Green Bay is 19th in plays per drive. The top teams in the league? New Orleans, Rams, Patriots, KC, Washington………these are all first place teams, and their offense stays on the field. This team also has lots of negative plays on offense. We take sacks and penalties. We’re one of the most penalized offenses. This is the problem. Our offense is beating itself and it’s costing us games.